During the cold season, a lot of people become hesitant to get a hot air balloon trip because they think it will be intolerably cold. In actuality, this is not the case! Here are common myths about hot air balloons during Winter, and how things really are. This is not always the case. On morning flights, only the Earth’s surface is colder. Once we’ve climbed over 200 feet in the air, we’ll feel a slightly warmer temperature. This phenomenon is called temperature inversion, and it is always present in the morning. Aside from predictable wind speeds, this is what makes morning the optimum time for hot air balloon flight. Whatever season it may be, wind chills don’t really exist when you’re in the basket of a hot air balloon. This is because you’re riding along with the wind, not against it! Think of it as riding behind glass windows. You won’t feel wind chills while you’re inside the basket. 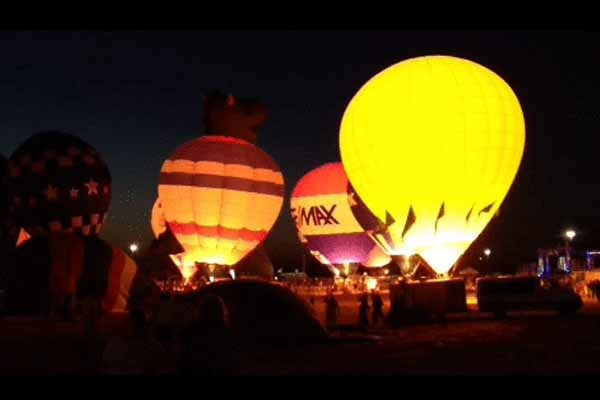 Hot air balloons actually fly better in cold air! This is because the temperature difference between the inside and the outside of the balloon determines the lift it develops. You also don’t need to worry about the liquid propane in the fuel tanks freezing up; this can be easily solved by charging the tanks with inert gases such as nitrogen, or warming them with electric heat tapes. We actually do have a heater, right above our heads! The gas burners keep the balloon flying and even though it only goes up, the heat still radiates and benefits us passengers too. Combine the radiation heat from the burner and the radiation heat of the entire balloon down to the basket, we won’t be freezing that much. Of course, tolerance to cold temperature is subjective. Therefore, It’s important to have company, as body heat can really warm you up. We hope this article has helped. Don’t hesitate and join us for an amazing flight! Avail a balloon ride with your friends and family, cozy up in a basket, and enjoy the view from an eagle’s vantage point! 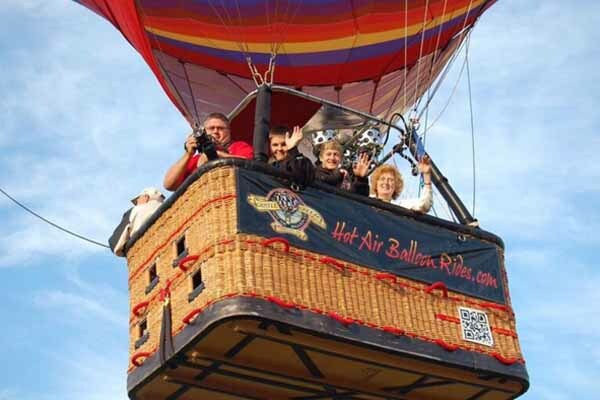 If you are wanting to book a winter hot air balloon ride, NOW is the time!! Get $25 per rider through December 31st!! Purchase your ride or gift voucher today!